Official Sports Drink on the course and Finish line. 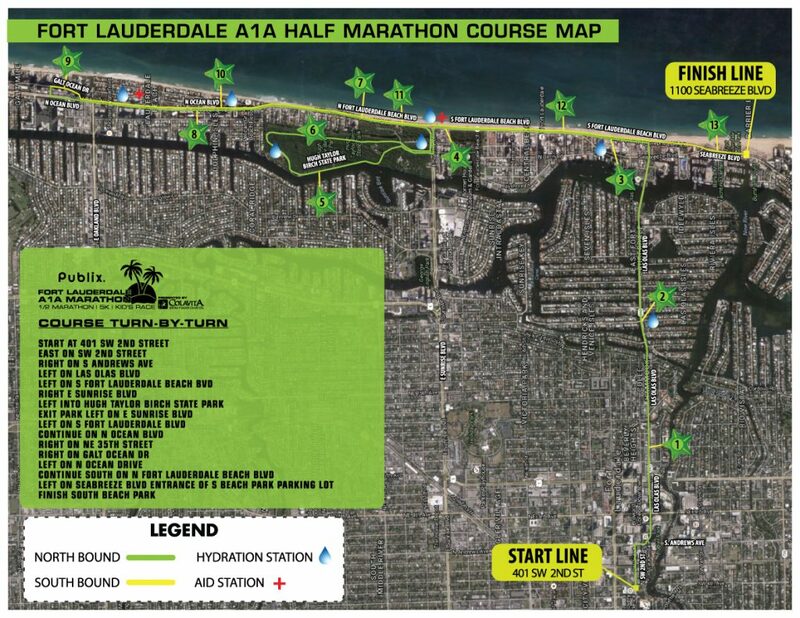 …the Publix A1A Marathon and Half Marathon presented by Colavita takes place in the perfect setting for a runners. With ocean breezes, palm trees and one of the most famous roads in America, this 26.2-mile course is one of the fastest and scenic in the state. We ask that all participants be in the runner corrals by 5:40am. Our event features a ‘mass start’. The corrals will be organized according to expected finishing time. Runners are asked to find their place in the corral according to their finishing time. There will be signs in the corral marking the times, i.e. 3:00 hrs., 3:15, hrs., 3:30hrs, etc. There will be Pace Teams available for the Marathon. The pacers will be located in the Start Line Corral and will be holding signs and balloons with the target pace on it. The Pacers will be organized in 15 minute increments: 3:00 hrs., 3:15 hrs., etc.